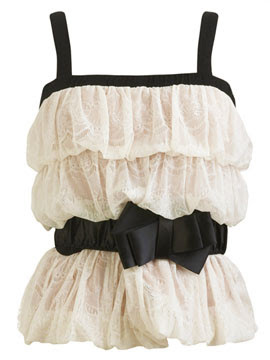 Sheer lace top features tiered bubble detail. Colorblock elasticized top and straps. 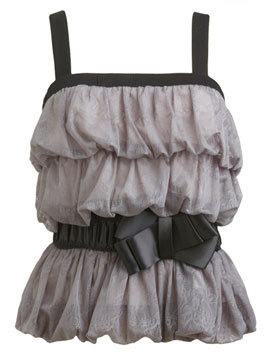 Wide elasticized waist features ruched charm bow belt. Lined.